Are you looking for the state-of-the-art and the latest co-working space in Bangalore, India? Here is a good news for you if so. 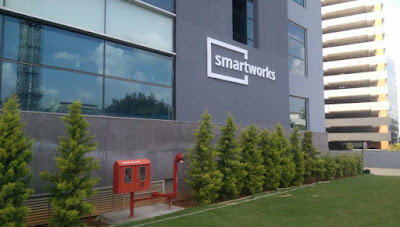 Smartworks has launched flagship center in Bangalore. The debuts Smart Mitri (Robot) to welcome you in the reception as well. The world's first AI enabled She-Robot, Mitri will be there to assist you to enter in the Smartworks co-working space. The premises is for enterprises, freelancers and budding firms. The Smartworks is spread over three lakh square feet with six thousands seats in Global Technology Park (GTP), Bellandur, Bangalore, India. Mitri (AI Robot) will take care the office management for the facility including communicate with the visitors and being a counselor for all. This is the second facility in the city, first being in Cessna Business Park. 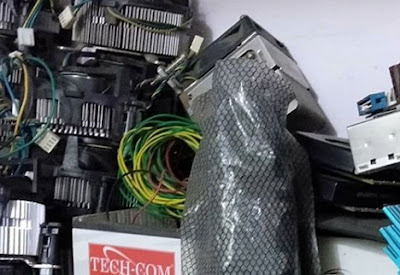 Smartworks in GTP got tremendous response, with more than 60 percent of the space been pre-booked by leading enterprises. The Smartworks facility in Bengaluru features modern aesthetics with the latest technology, safety, wellness, sports and productivity. Tips: You may get the best pricing at this co-space, so try it.